You REALLY want to be a social worker?! 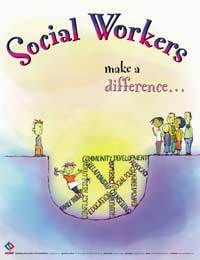 "I want to become a social worker - what do I need to do?" This is our most frequently received question on ACareerChange. If you wonder what the attraction is, there's little in the news at the moment to enlighten you. Recent cuts to social care are "putting vulnerable children and adults at risk and overloading social works with unmanageable caseloads", so says the British Association of Social Workers (BASW). The BASW study of 1100 social workers over a two week period in March, highlighted social workers swamped in paperwork and having to take on roles meant for other staff, such as receptionist tasks and cleaning. While the government has said it's cutting red tape to make it easier for social workers to get on with their jobs instead of "being buried in paperwork", the results of the survey are not much different to those revealed back in 2010. There will always be a need for social workers and this kind of news does not help in attracting the right sort of people to this career. So what is the 'right sort of person'? At this stage, we have to tell you that survey results such as these never seem to dampen the spirits of the young people who continue to ask us how to get into the profession. What they don't seem to realise is as a social worker, you see unpleasant things, you can't always do what you need to in order to help the people you want to help, and you have to do some (well an awful lot of) paperwork! For those that can't even read through an article to see that they need a degree to become a social worker, we think there must be something else that makes it look so attractive as a career. We'll try and find some real social workers to speak to and keep those of you who really want to be social workers updated. But if you are one and you are passionate about your job, get in touch and let us know (the upsides and the downs). Too Old for a Change? Is is worth investing in training yourself? 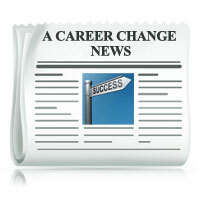 Do you train in your current field or use it as an opportunity to move careers? Should your current employer be informed? Will it pose a threat to your job if you are seen to be re-training in another field? We're interested to know your thoughts about this (comments below please!) and hope to look into all these issues in future articles. In our view it's always best to be upfront, you don't need to explain why you are enrolling on a course if it's in your own time. You can always say it's for your own fulfilment and make it seem as if it will benefit your job if it's not stretching the truth too far. So what are adult learning events all about? Hopefully most events will give you an idea of the vast range of training that's available. A decent event will run over several days, with opening hours to cater for those who work and will have gained the support of local businesses. You should get the opportunity to talk to the people who provide the training as well as those who've perhaps taken a course or some kind of training themselves. Most of all, you should come away feeling inspired to do something to help you focus and not get bogged down by the daily reality working or looking for work. Whet your appetite in readiness for the next event you spot by checking out the Training section on this site. re: the adult learner blog. It might more productive to learn something that is related to your job. You could ask you employer to pay for it on the basis that you undertake to remain in that company for say a minimum of two years.